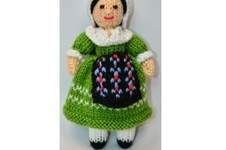 NOTE: I am very happy for people to sell the finished doll in local community craft fairs & for local community charity. Please do not sell the finished doll or pattern on the internet. Thank-you for looking at my pattern.